NOTE: DUE TO THE RAPIDLY DECREASING SUPPLY OF USED KEGS, PRICES HAVE INCREASED. GET THEM WHILE THEY ARE STILL AVILABLE. 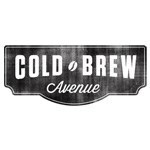 This is a re-conditioned 5 Gallon Ball Lock Cold Brew Coffee Keg. This corny keg has been cleaned and soaked in a hot "Straight-A" (brand name) cleaning solution, re-rinsed, lubed and re-pressurized to check the seals. The kegs are in good shape, but could have small dings, dents or scratches. These will not effect the function of the kegs. Many have stickers on the outside. Also, due to the age of these kegs, the rubber handles can leave black marks on your hands. The keg might be of either Cornelius, Firestone (also called Spartenburg) or Italian construction. 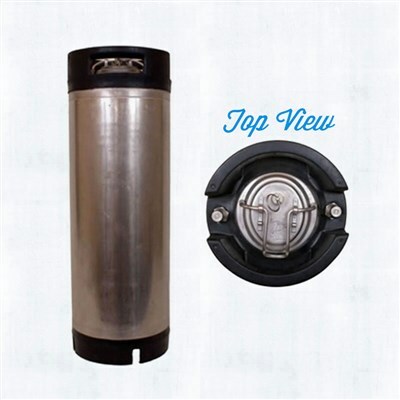 All types of kegs are manufactured to the same specifications and are of the same quality. The lids and O-rings are interchangeable. We match kegs by brand and try to match by model as well so you will be able to use the same parts in the future. We are not able to guarantee an exact match because there are sometimes minor differences even between the same brand and model. We fully guarantee your satisfaction with the kegs you purchase. If you are on a budget and looking to save a few bucks on your nitro coffee kegs, used kegs are a great way to go. But do note, used kegs may still have soda smells inside them. We recommend soaking them with hot Brew Clean solution to help remove any old residue and unwanted odors prior to filling with your cold brew coffee.